Spring is here and I’m excited to wear lighter clothes! But do you ever get a little bit bored of your clothes? 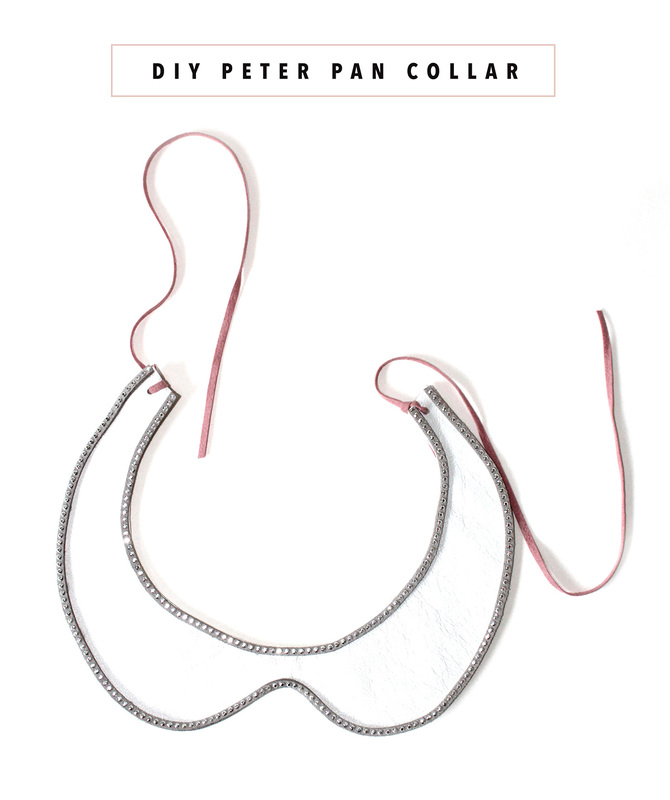 Sometimes I do and trying to keep within my shopping budget, I ventured out and made a detachable peter pan collar! 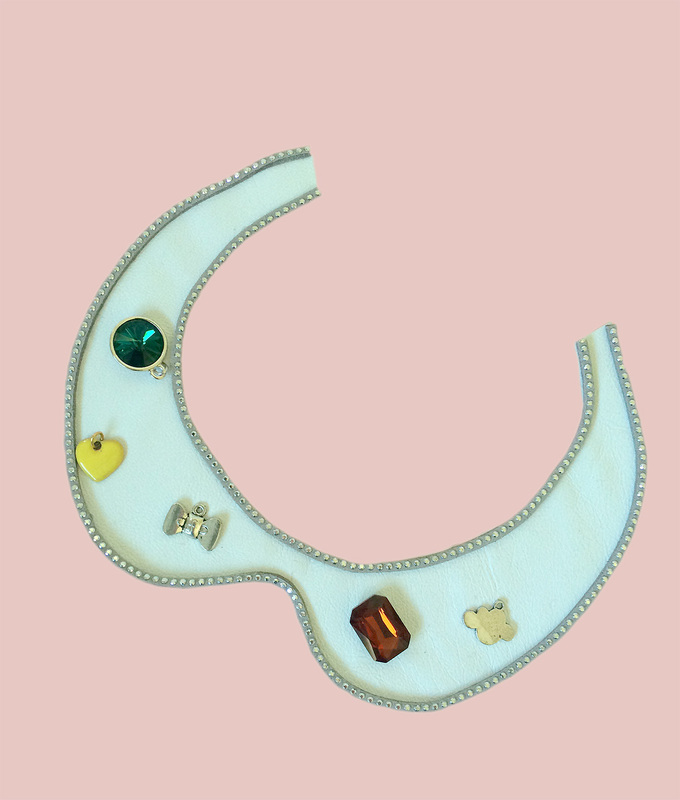 I think this kind of collar adds a whimsical style to any piece and a retro vibe too. Both looks that I’m very much into. 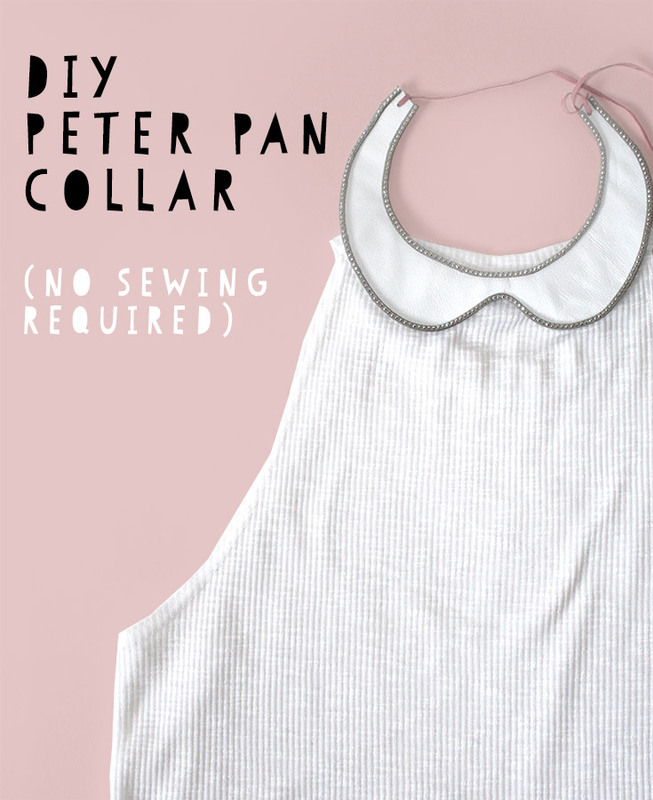 Download and print the template for the peter pan collar. 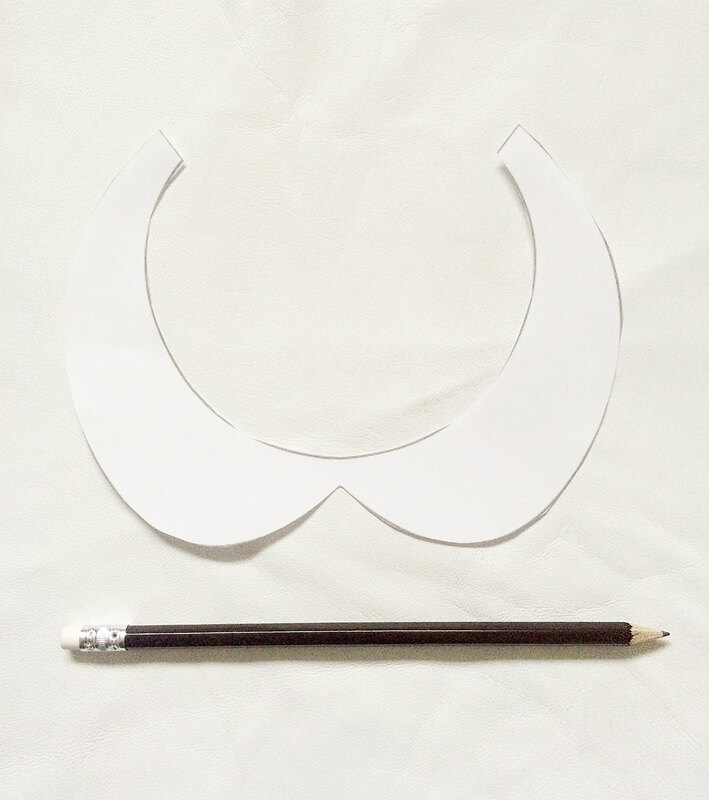 I used white leather to make mine and traced the outline of the collar onto the leather. Then with sharp scissors, I cut the collar. 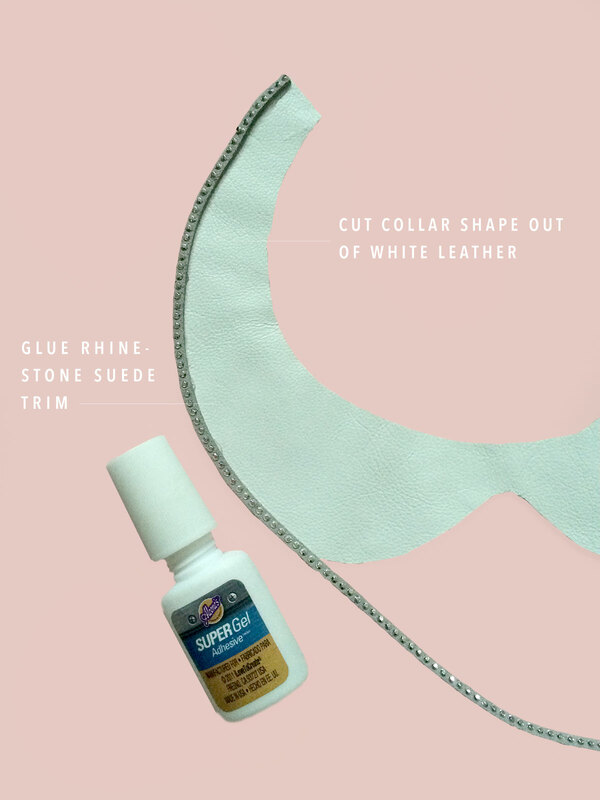 The trim I used is made of suede and easy to handle to create the outline around the collar. I used super gel glue to glue the trim to the collar. 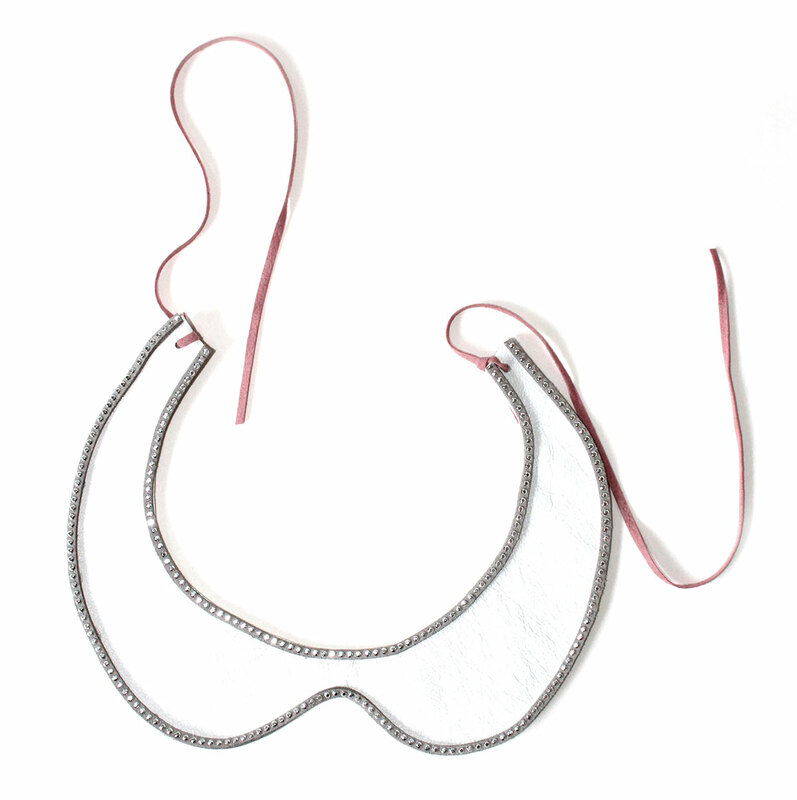 Going through my beads and accessories, I played with a few of them and thought of adding them to the collar. 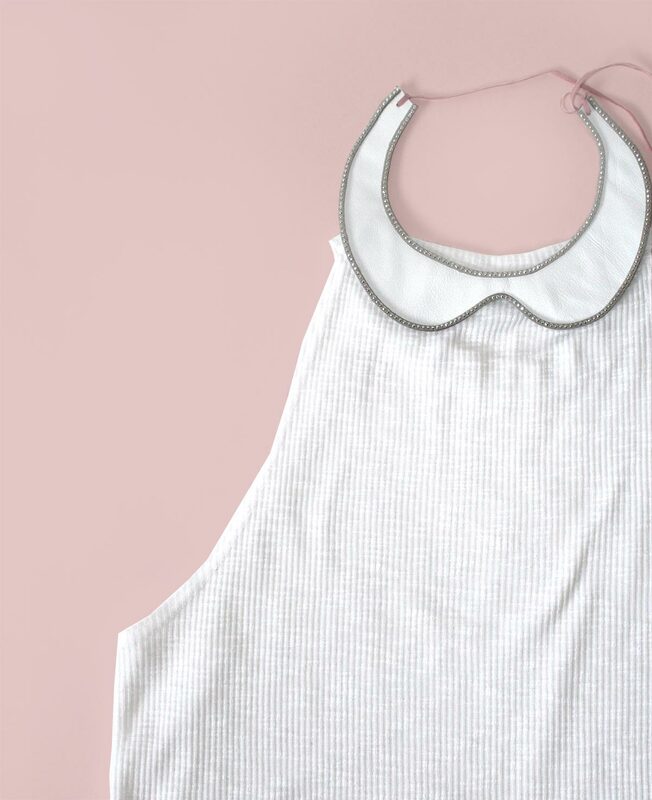 In the end, I went for a simpler look and tried my new peter pan collar on a few t-shirts and a blouse. 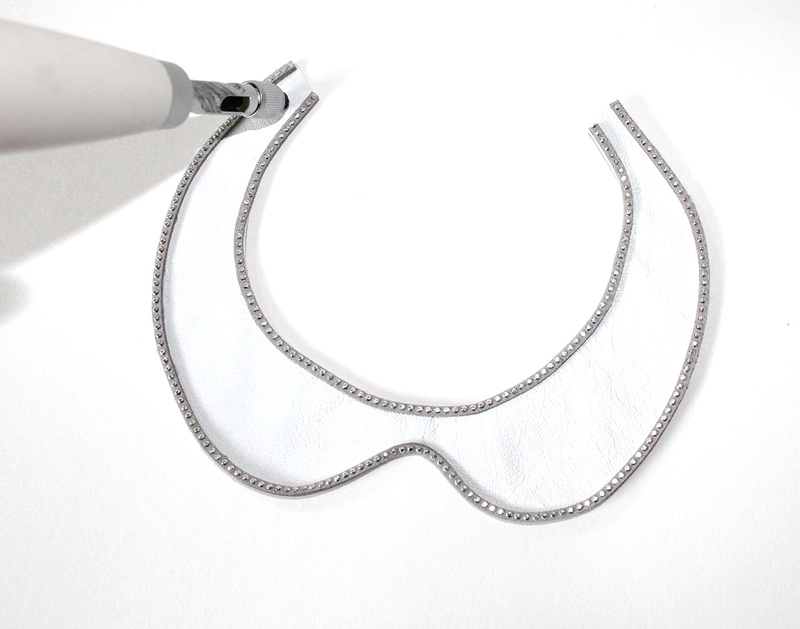 The last step was to use a screw punch and make a hole at each end of the collar. Then I added ten inches of suede cord to each end so I could attach my new collar to any t-shirt, dress or blouse. Love this so much, Ursula!